Super Death finally arrived in HeroSmash, and Super City may never be the same again. The great grim one himself is looking to be a super powered fighter, but is unsure what team to join. Should he step up to Team Hero, and use his Shadow Powers for good, helping the innocent and protecting the streets? Or should his Shadow powers be best suited for Team Villain? Spreading fear and chaos throughout the streets? He needs you to help him decide. Play through his trials and help him choose what the strongest team is. Super Death has arranged for a Volcano to appear in the middle of Super City. Go through the portal take care of the situation. Look for a Hero and Villain NPC to help you along the way. This all new zone has 3 new monsters and one big boss. There are over 16 new items that will be available through quests or drop n shop. 2 of which will go rare when the next trial opens up. 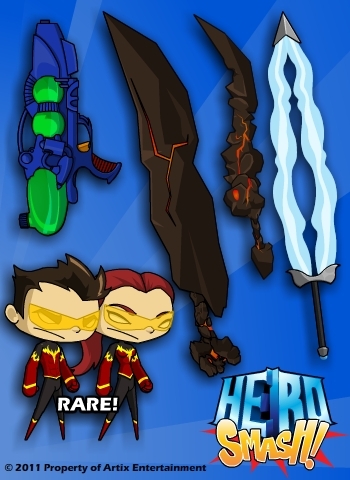 PLUS, you will find 3 new super powers: Frozen Spear, Lava Storm and Molten Armor! Jemini, Thyton, Randor, Zheenx, Polistar, Dumoose, and Llusion all worked their butts off to get this release together. Good job all around gang! The next zone is going to be juicy! Faction, Faction, Who's got a Faction? 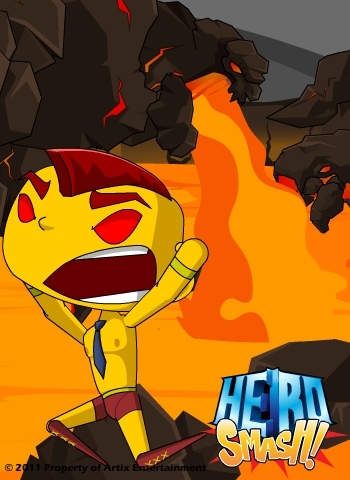 There has been a major update to HeroSmash. Now the Good and Evil alignments are opposing. So if you complete good quests your evil rep lowers, and evil quests drop the good rep. Now you can truley be a part of Team Hero, or Team Villains. 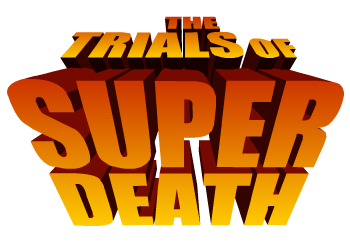 In honor of the new Trials of Super Death we have also added a new faction to the line-up. 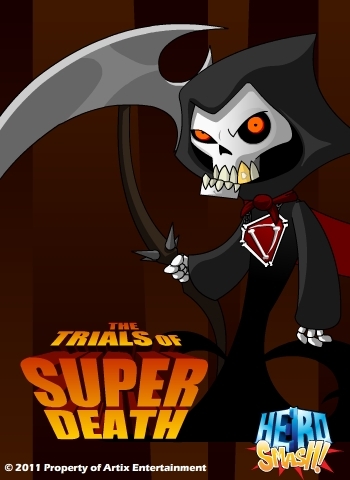 Super Death's SHADOW faction. Those that rise up the ranks of this faction will be able to recieve special items and powers that only belong to the SHADOW faction. 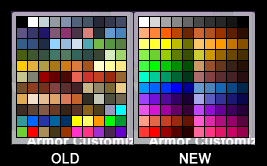 The color pallete got a huge upgrade thanks to Jemini and Zhoom. So many purdy colors. OOOOOOOOOOOooooooOooO. That's it for me, So tune in next time gang. Same Yergen Time, Same Yergen page.